Leasing Specialists, Inc. is a regional leasing company dedicated to serving the leasing needs of farming and construction operations across the Midwest, including the states of Illinois, Indiana, Iowa, Missouri, and Wisconsin. In order to accommodate a growing business, LSIrelocated their corporate office in 2012 to 2701 Grand Avenue in Galesburg, Illinois. This newly remodeled facility is located in the center of the region being served by LSI. Steve Westbay, president of LSI has been in the Agriculture equipment business for over 40 years, and has been leasing equipment since 1976. His son, Mitchell Westbay, joined the business as Sales and Marketing Director in December, 2011. Together with highly-qualified staff, they are dedicated to providing their clients with exceptional customer service and variety of quality products. LSI offers their customers “True Tax Leases” on all brands of new and used agricultural equipment, construction equipment, truck, trailers, and grain bins. LSI’s “True Tax Lease”will allow customers to write off lease payments while improving their cash flow. Leases are tailor-made to each customer’s needs and can be structured on quarterly, semi-annual, or annual payment structures. Lease terms range from three to five years on used equipment, and three to seven years on new or like new equipment. Using an extensive network of dealers and private parties, LSI also offers a Free-Locator Service for their customer’s. This exclusive locator service has proven to be useful for many of their customers who may not have the time or expertise to find the equipment they are looking for. 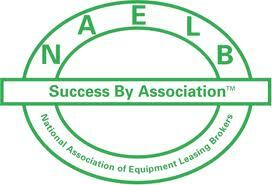 Another popular program is LSI’s Sale-Leaseback Program that will allow clients to use the equity in their equipment. This has proven to be an effective way to put cash back into customers’ operations and has been an efficient balance sheet management tool. According to Mitchell Westbay, “this has been especially helpful to farmers in areas hit hard by the drought in 2012”. Leasing Specialists, Inc. is forecasting exceptionally strong demand for their leasing program due to the uncertainty of ever-changing Depreciation Laws that may substantially reduce depreciation when purchasing equipment. With our True Tax Lease Program customers lease payments are 100% tax deductible and a viable option to help offset the potential large reduction in depreciation. Mitchell Westbay explains how working with LSI works. “You simply select the new or used item needed and obtain the lowest cost quote from the vendor of your choice or have an LSI do it for you through our Free Locator Service. You call us to discuss the lease terms and obligations. LSI buys the product you selected at the price you were quoted. You make annual, semi-annual or quarterly lease payments and receive an attractive purchase option at the end of the lease. Our lease options feature, buy-outs, re-lease, purchase or turn-back provisions”.